For each decision and action that we take together, there exists a well thought out and researched reason. For a complete picture of all the processes that I integrate together with you as a client, please visit How We Work Together. You and I go through various stages of these processes during each assessment/review. Please call at anytime with any questions. Please do NOT send these forms directly to TD Ameritrade Institutional (that will slow processing down dramatically). Instead, please use the ShareFile link below and send them to me securely, privately and confidently. Or ... if you don't have a scanner, or a file on your computer, then faxing is still another secure option: (916) 303-7777 (press start as soon as it rings to switch system to fax mode). Or ... you may snail mail forms to: Loring Ward, WestOne Service Team, 10 Almaden Blvd., 15th Floor, San Jose, California 95113 (suggest Priority Mail with tracking - please email me your tracking number). 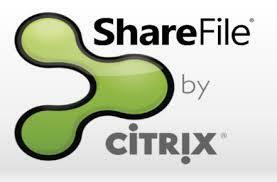 ShareFile by Citrix (click on photo or link to start the easy process of uploading your files to send to me. For a review to update your situation, please ask me for a secure link to worksheets to get the assessment process started. A note on communications. Rapid market events, as experienced in 2008, demonstrate that efficient and timely communication is important. 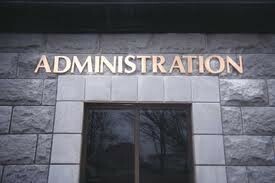 The fastest way I can efficiently contact you, and all other clients at the same time, is by mail or email. These messages would be broad and general in nature. The fastest way you can contact me is by phone or email. This is especially important since I do not know who has questions, what those questions may be, nor do I know when something has changed in your life. In other words, you contacting me is important because then you and I can get down to your important specifics. My door and phone are always open to you. Please feel free to contact me at anytime when anything is on your mind. In general: if something is unclear to you, that is a signal you should ask questions; if you're uncertain about your plan, that is a signal for a review. Communication works best when it is both ways. You may click here to go to the Service Partners page.